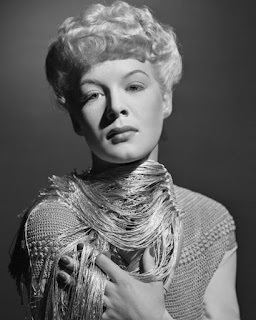 Betty Hutton was born Elizabeth June Thornburg on February 26, 1921, in Battle Creek, Michigan. She was the youngest of two daughters. Betty's father abandoned them and her mother struggled with alcoholism. To help support the family Betty began singing professionally when she was thirteen. She moved to New York and appeared in several Broadway plays. 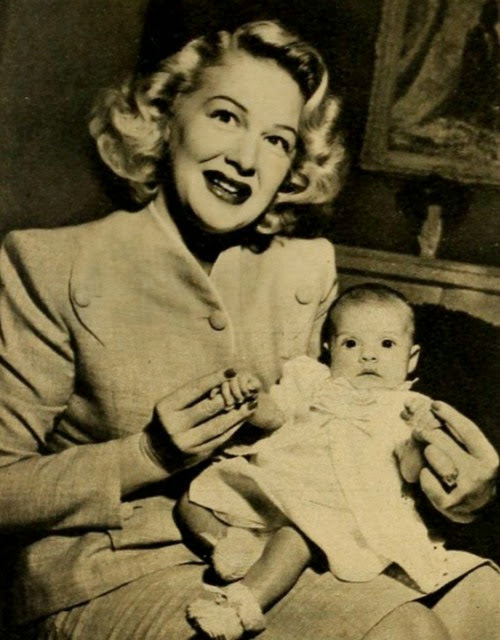 After signing with Paramount in 1942 she made her film debut in the musical The Fleet's In. It was a hit and Betty became one of Hollywood's most sought-after actresses. Her success continued with starring roles The Miracle of Morgan's Creek, The Perils of Pauline, and Let's Face It. 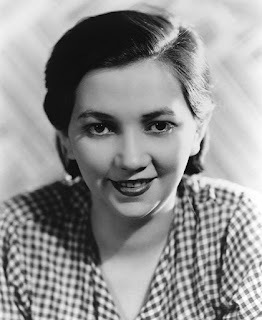 Meanwhile her older sister, Marion Hutton, became a popular big band singer. In 1945 Betty married Ted Briskin, a camera manufacturer. They had two daughters - Candy and Lindsay. Betty divorced him and married choreographer Charles O'Curran in 1952. That same year she played a circus performer in The Greatest Show on Earth. The movie won the Academy Award for Best Picture. Betty was now earning five thousand dollars a week. She wanted her husband to direct her next film but when Paramount refused she walked out on her contract. Betty was labeled a temperamental diva and her marriage to Charles ended. Her last film was the 1957 drama Spring Reunion. She made occasional guest appearances on television shows like "What's My Line?" 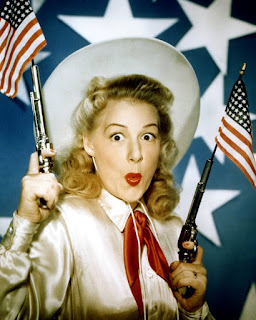 and "The Dinah Shore Chevy Show". 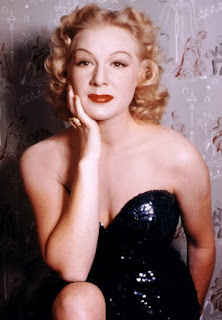 Her 1959 television series "The Betty Hutton Show" was canceled after only one season. Betty's third marriage, to producer Alan Livingston, lasted five years. She married musician Peter Candoli in 1960 and had a daughter named Caroline. Betty found work singing in nightclubs and in Las Vegas. She and Peter divorced in 1967. By this time Betty had a serious addiction to prescription drugs. She suffered a nervous breakdown and attempted suicide. With all of her money gone she was forced her to take a job cleaning at a church in Rhode Island. Eventually she was able get off drugs and turn her life around. During the 1970s she earned a bachelors degree from Salve Regina University and starting teaching theater. Betty spent her final years living in Palm Springs. In 2000 she made a rare television appearance on Turner Classic Movie's "Private Screenings". She passed away on January 25, 2007 after being diagnosed with colon cancer. She was buried at Desert Memorial Park in Cathedral City, California. None of her children attended her funeral.